The solar panel and PV market can appear to be a very confusing place and on first glance, extremely complicated, but in truth for the user it isn't really that complex. It's ultimately all about the benefits it can deliver to both the energy consumer and the environment. In essence, a solar panel system is about harnessing the sun's immense natural power source to either convert sunlight to electricity using silicon cells or its thermal energy for direct water heating both with the objective of, not only saving money, but of course the environment. NEC Ltd provide a Solar PV Home Energy Solution using BP Solar photovoltaic panels to generate your own electricity and connect into the grid because it believes it is the best long-term offering and enables users to gain both maximum energy and cost benefits. The UK Government have committed to decreasing our dependence on fossil and nuclear fuels and have legislated a Feed In Tariff, 'FIT' sometimes called "Energy Cashbacks" effective from April 2010. This FIT obliges energy companies to pay a premium price to you, the energy generator, for all the energy produced by your solar system, whether it is consumed at your property or exported back to the grid. "There is literally no better time to invest in the future"
Why not prepare for the future now, saving money in the mean time? Solar Panels for residential houses may sound complicated or a lot of effort but with a simple installation they are ready to start saving you money. Our solar panels will be fitting to your property in a non intrusive way, ensuring that they are not an eyesore for you or other local residents. If you own or run a business why not consider going to solar power today? The money saved and the reward of the knowledge that your organisation is doing its part for a greener future, make solar panels a clear choice for many businesses already in the Midlands. Why not contact us to discuss how we can create a bespoke solution to your companies energy needs? Embracing renewable energy technology makes a lot of sense for the public sector and schools as it is in line with Government sustainability goals and provides a financially viable means of achieving carbon savings while offering income potential. As a statement of social responsibility, it helps promote a green image, developing awareness of climate change and setting a clear example to the wider community. 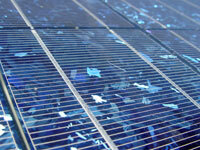 NEC Ltd offer a complete range of solar systems for the Public Sector. Please feel free to call NEC on 01455 283 800 to speak to one of our trained representatives. Solar PV is a renewable energy system which uses photovoltaic modules, usually on the roof of a building, to convert daylight into electricity. Photovoltaic cells are made up of thin layers of semi-conducting material (usually crystalline silicon) which generate an electrical charge when exposed to direct or diffuse daylight. Our rooftop PV solar systems offer a non obtrusive method for proving you with renewable energy.